PR is about common-sense – give the target audience what they want and how they want it but you decide what information to give them. The key is to figure that out so it’s a win-win for everyone. You are a start-up ready to make your first announcement – what and how do you do it? There are two options – either have someone handle it in-house or take-on a PR agency. If you’ve decided to do this in-house you need to note the following – your target audience and therefore a media list i.e. what media do they use daily and geographies to be covered. Media list will also vary depending on your announcement. I recently helped a tech start-up make a funding announcement – the most important media – key financial & tech media – print and online. We decided to give exclusive interviews to a print business print daily and to one popular online media. It was then picked-up by lot of other media. Since it was also a US based company, we decided to give an exclusive to the most frequent site there as well. This was then later followed by some in-depth interviews in trade media. One can maintain visibility by regularly organising either – news releases, guest articles or interviews in media depending on the announcement and the target audience. In PR please remember there is no ‘one size fits all’ situation. Every situation even within your company will be unique and will be required to be handled differently. 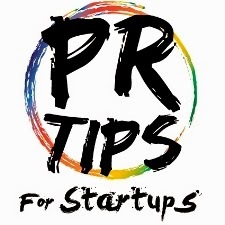 If and when you are selecting a PR agency here are some pointers. Call for a PR pitch from at least 3 agencies after briefing them. Go through references from other entrepreneurs you may know. Choose the agency based on their past experience in your space (not necessarily top priority), your comfort level with the servicing team, team background, companies they have worked with, any references they can provide. Sign up for a long-term (12 months) contract with 1 month exit clause and a serious review every 3 months. That way you have their commitment and interest in working with you. Give a detailed brief and ask them to prepare a specific 3 month PR plan. You can usually get them to achieve this in almost half the time. The PR Agency will send you a weekly/fortnightly report and a dossier of coverage. They will track/monitor direct coverage as well as competition and industry. Coverage received can be evaluated quantitatively (in terms of value of article space if you had placed an ad) and qualitatively (if key message(s) have been covered in articles). Has Target Media been covered or has the agency covered mostly irrelevant media? Once you gain familiarity with the process and media, it will get easier to gauge what works and what doesn’t. So get started.